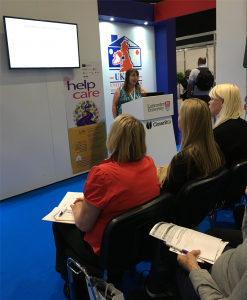 The launch of the Helpcare Training and Professionalization of Care Workers across Europe event within the Health +Care conference and exhibition was a tremendous experience for the project team. We directly engaged with over 200 delegates and were able to disseminate our findings, share knowledge and learn from each other. More information can be found in our July 2017 newsletter.